Arissa Cost Strategies’ medical case management services (telephonic and field based) are provided by highly trained registered nurses. Our nurses are skilled at handling common work related injuries to the more severe injuries and medical conditions that can occur in a work environment. Their experience and knowledge of the local medical providers, suppliers, facilities, and community resources enable them to control costs and quickly move cases to successful resolution. 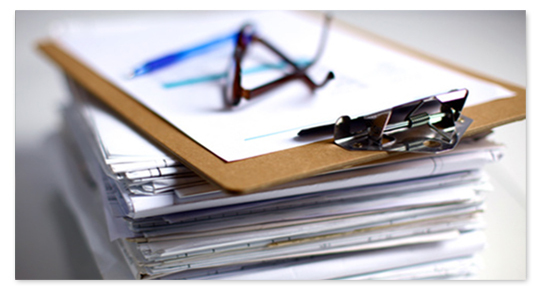 Our nurse case managers have a variety of accreditation’s to include Certified Case Manager (CCM), Certified Registered Rehabilitation Nurse (CRRN), Certified Disability Management Specialist (CDMS) and Certified Occupational Health Nurse. 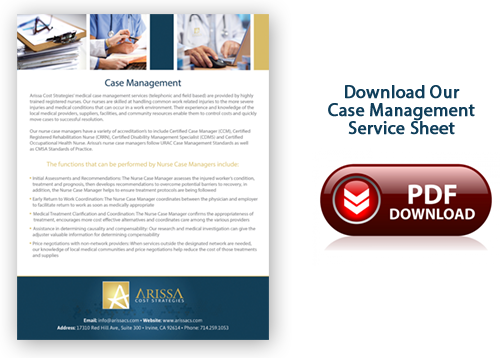 Arissa’s nurse case managers follow URAC Case Management Standards as well as CMSA Standards of Practice.